Best deals in town Kareem Auto Sales! We found a great car for a great deal here. Dom was patient with us and did an outstanding job of helping us through the car buying process. I really appreciated purchasing our Avalanche here. Dom was attentive to any questions we had and if didn't have an answer, was quick to get it for us. No pressure, just handed us the keys and let us decide. He worked to get us the best financing deal. Thank you Dom! 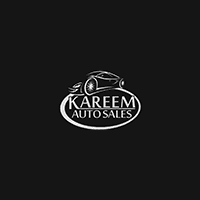 Great experience at Kareem Auto Sales, it was easy and hassle free! I want to thank my salesman Cody, for the exceptional service he provided! I stumbled upon their car listing on CarGurus.com and their price was by far the best. I arrived to view the 2015 Lexus ES350 and it was even more beautiful in person. The car was absolutely impeccable for being a used car and had such a plush ride. The cars battery did need to be replaced and the back rotors needed some TLC but Cody made sure that everything was taken care of before I purchased the vehicle. He showed me pictures to ensure that everything was taken care of and encouraged me to test drive it one more time to ensure my confidence in purchasing the car. Cody did not disappoint and was very prompt with responding and discussing any questions/ concerns I had. My mother-in-law had previously purchased her used Lexus from Kareem x 9 yrs ago and it still runs like a charm! Thank you so much to Cody and the staff at Kareem Auto sales for your hard work and making my purchase of my Lexus such an incredible experience! I worked with Angelo to get financed for a 2012 Subaru (Subaru for life!). He was awesome & worked hard to get me financed with a credit union (even with ok-ish credit) with payments I can afford. I'm beyond grateful for Angelo & his help. Welcome to Kareem Auto Sales Inc! Your premier local dealer for gently used Cars, Trucks, SUVs, and Minivans! We are also located near Elk Grove, Roseville or even Lake Tahoe. We know that times are tough so our goal is to offer you the best value possible and that’s achieved by selling superior vehicles at lower prices while providing world-class customer service. We feel that in this economy there’s no room for excess. Unlike many of our colorful competitors, we have drastically eliminated our overhead which we believe will serve our community better by keeping costs down and passing the savings to the customer. To succeed in our business we are reliant on our veteran buyers who travel far and wide to handpick vehicles that meet our standards for resale. We take the viewpoint of our customers when purchasing vehicles for our inventory, it’s important to us that the car is aesthetically pleasing as well as in excellent mechanical condition. Most Kareem Auto Sales vehicles come standard with the added protection of being Quality Plus Certified and a free Carfax history report. As part of our total package program, Kareem Auto Sales Inc offer extended vehicle service contracts by Warranty Solutions, an industry leader and member of the Wells Fargo family of companies. We promise that your shopping experience will be a hassle-free, positive experience. You will not be rushed while choosing from a large selection of the most popular makes and models available.